Antifreeze is a sweet smelling chemical that is used to keep a car’s engine from becoming overheated in the summer and freezing in the winter. The sweet smell attracts dogs and cats and causes them to ingest it. According to Dr. Justine Lee, associate director of Pet Poison Helpline, “The most important thing to know about antifreeze is you have a really narrow window for treatment.” Dogs must get the antidote within 8 hours of ingestion, while cats must get the antidote within 3 hours. If the pet receives treatment in time, the recovery prognosis is excellent. The treatment consists of a hospital stay of several days. For a medium sized dog, treatment can easily cost a few thousand dollars. This is one of the many reasons pet owners should have their pets covered by pet health insurance. Not only do companies like Pets Best Insurance offer affordable premiums, but having pet insurance provides owners peace of mind. • After ingestion, the pet will appear to be drunk with signs including lethargy, uncoordination, staggering, or disorientation. These symptoms will occur approximately 30 minutes to one hour after ingestion and can last for several hours. • After the initial symptoms subside, the pet may then seem to be better. Symptoms that occur in the second stage can include vomiting and oral and gastric ulcers. During this stage, crystals begin to form in the kidneys. If left untreated, pets will go into kidney failure which will eventually cause death. 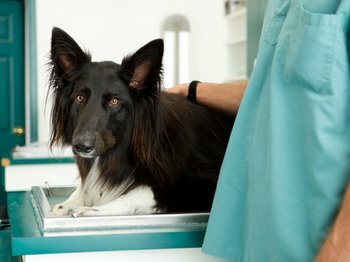 Anytime your pet is behaving abnormally or showing signs of pet illnesses, they should be examined by your veterinarian.